Hood are just about our favourite band out there at the moment. With a shameful lack of any of their early stuff easily available, we've finally been able to get hold of their first two albums plus an early compilation and the mini album that directly preceded 'Cold House' all with the help of the band. 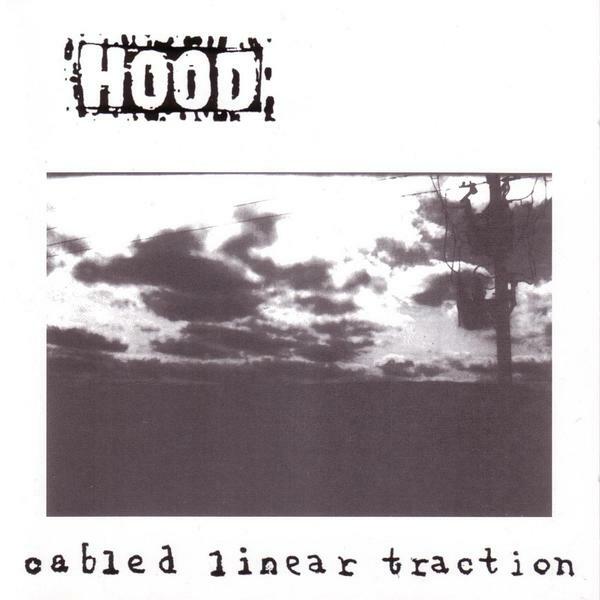 This week we bring you 'Cabled Linear Traction', Hood's debut album featuring Chris and his brother Richard alongside Remote Viewer's Andrew Johnson (drums) - dashing through twenty tracks of amazing noise pop - part Pavement, part DIY punk and part early Aphex Twin meeting Bark Psychosis. Vocally on a downbeat realism tip but around each corner Chris's vocals are lifted by the beautiful backing vocals of Nicola Hodkinson (Empress/Remote Viewer). Ltd copies only - an amazing debut.